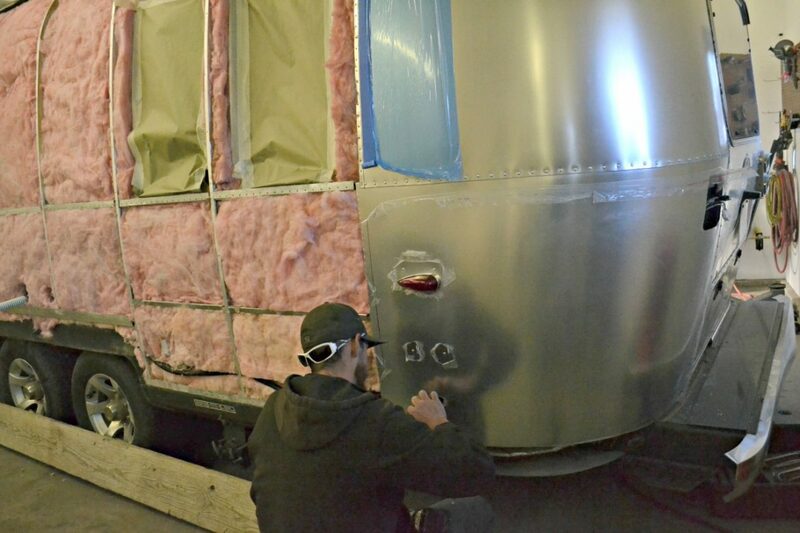 How many times have we seen a beautiful Airstream trailer sitting in a dealer’s lot waiting for its turn to get repaired. The remains of a horrible accident or a mistake in judgement while backing up. Often times this reveals only the surface problems. We forget the deeper damage inside the body that could be much serious. 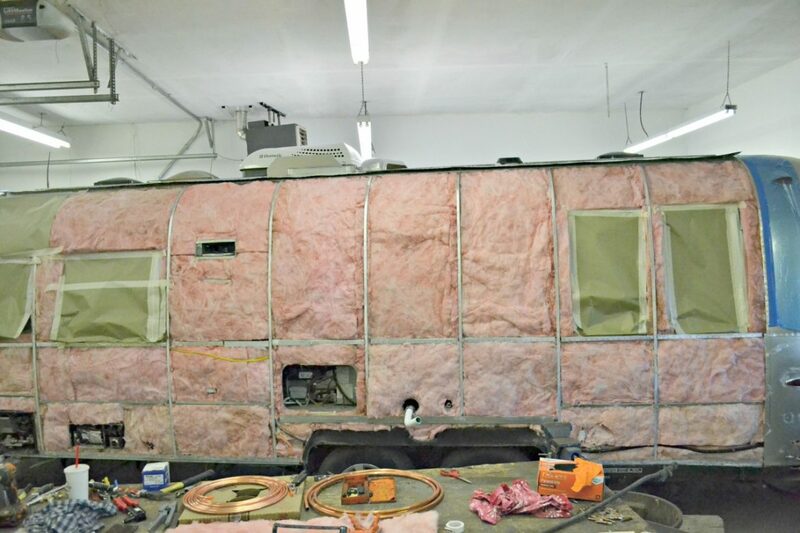 Each aluminum panel has many layers now exposed to the elements including wiring, water, propane, and plumbing as well as “insulation” that must be always dry and tight against the walls and interior ceiling. 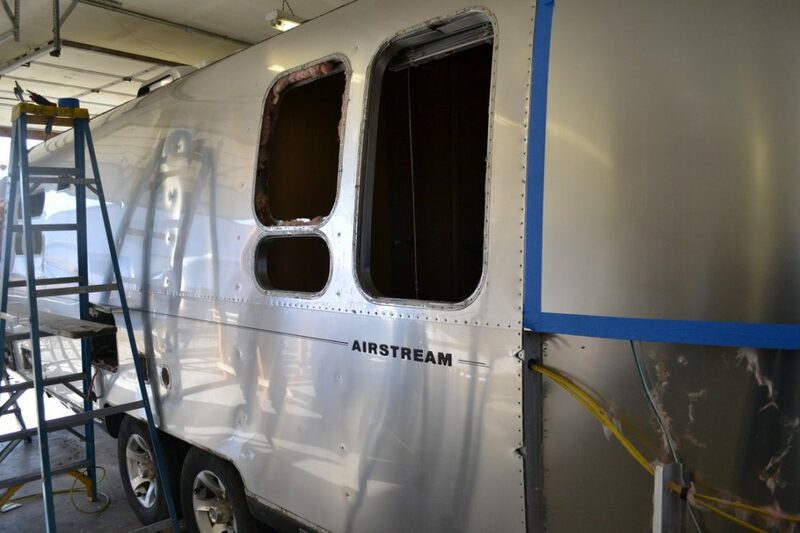 The rebuilding and replacement of each compromised foot of aluminum as well as the exactness of re-riveting is a must for every repair/restoration business. 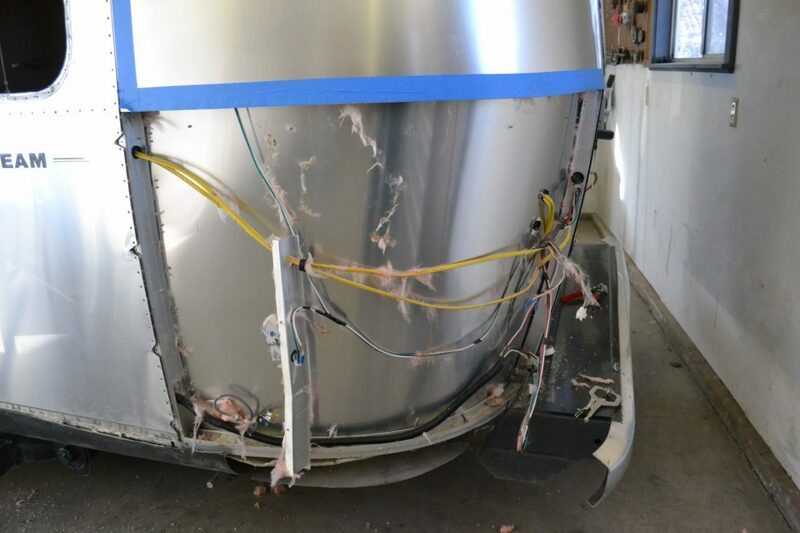 Ask any repair/restoration business how burdened with the fair market value of a repair and ultimate street valve when The State Farm Insurance companies of the world are attempting to understand “value” and itemized repair estimates. 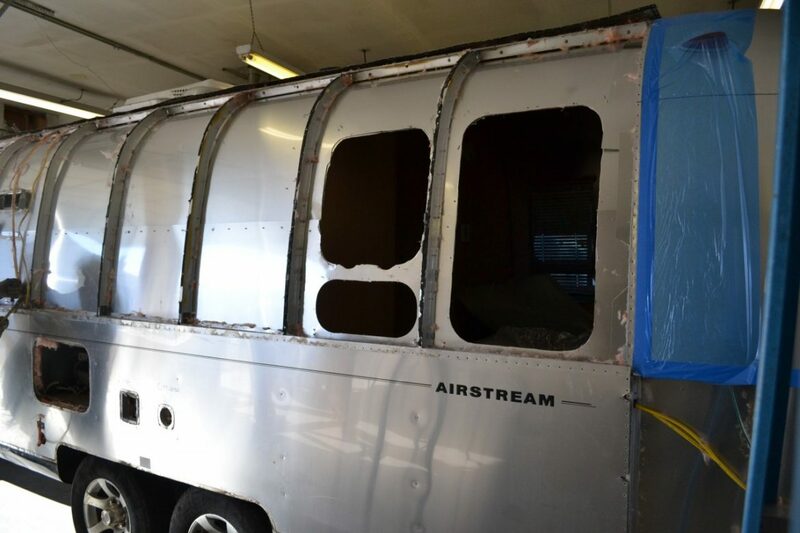 Since a picture is worth a thousand words, take a look at the enclosed photos and the complicated repair design to bring the recently purchased Airstream travel trailer back to perfection and safety.